Is your cat top banana? Try seven inches of Yeowww! Catnip bliss. Cats love the curve. 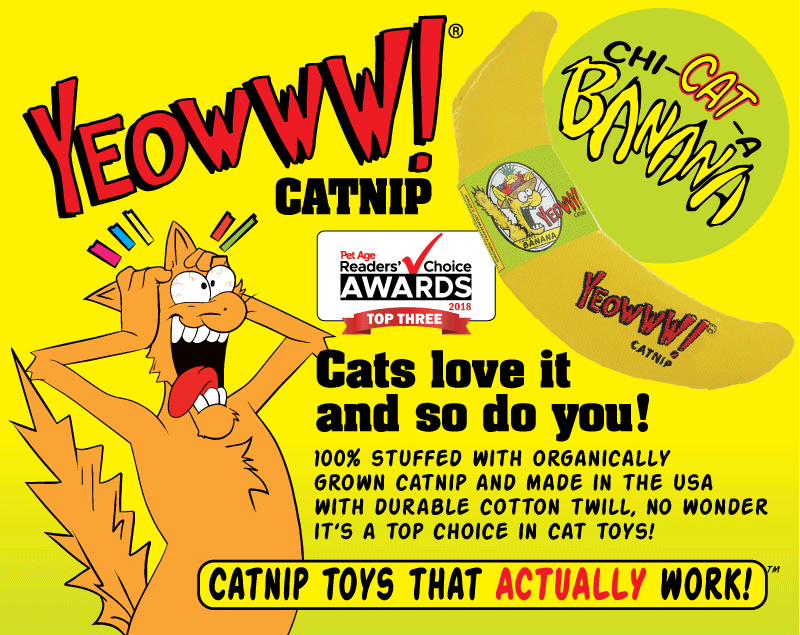 This catnip banana is 100% stuffed full of premium, organically grown catnip. No cotton fillers, no plastic pieces, and certainly none of that cheaper ‘toy grade’ stuff. The fabric is high quality cotton twill, strong enough to withstand biting, scratching and bunny kicking. Yeowww! Catnip toys are handmade in the USA.